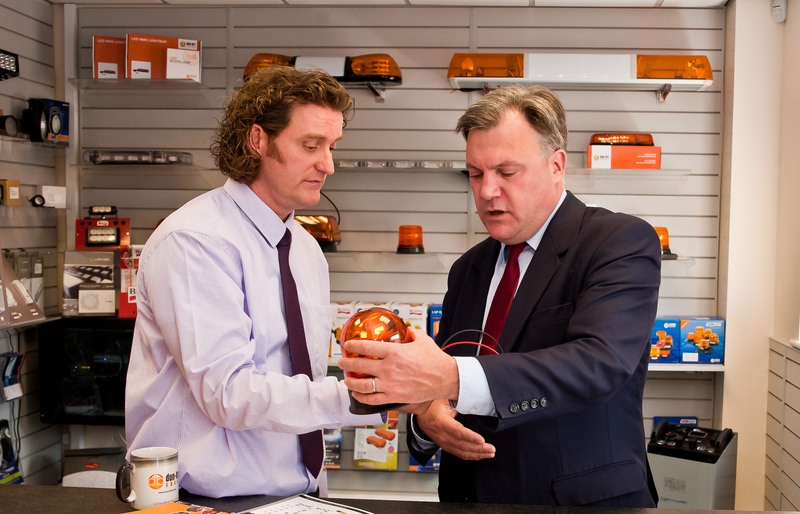 The Dun-Bri Group’s exciting plan to further expand and develop its regional sales coverage, with more locally-based centres met the approval of the Shadow Chancellor, Ed Balls MP, during a recent visit. 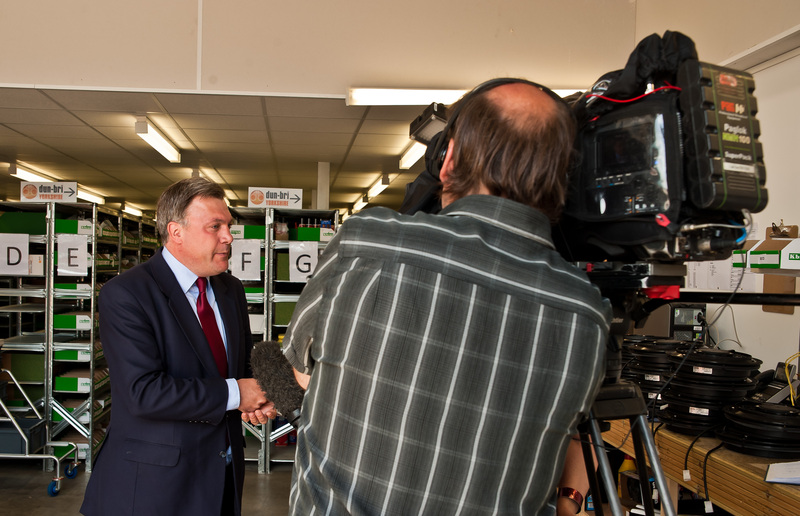 Following an impromptu news interview with the BBC regarding a statement from the IMF about the housing market in the United Kingdom, Ed was given a guided tour of Dun-Bri Yorkshire, the company’s regional facility in Wakefield by the Group Managing Director, Andrew Strath, accompanied by the team at the branch. The building, on the Wakefield 41 Industrial Estate, acts as a trade counter and distribution hub for its ever expanding customer base of commercial vehicle lighting and auto-electrical products in the North and North-East of England. 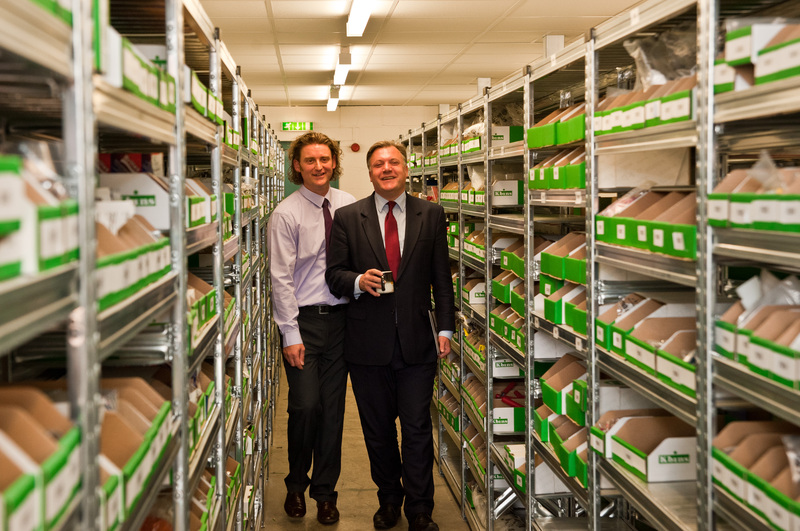 During the visit which lasted for more than an hour, the MP for Morley & Outwood, showed an interest in the range of products offered by Dun-Bri; its services and plans to expand its day-to-day operations in Yorkshire; as well as on a variety of other matters including family life and anecdotes of his own experiences. First established in 1989, the group is the United Kingdom’s leading and only specialist distributor of commercial vehicle lighting and auto-electrical products with a range of over 9,000 different items available across the country on a next day basis. The company will be recruiting again for staff in the near future and speculative applications can now be made at www.dun-bri-jobs.com. Photographs and other images are available on request. 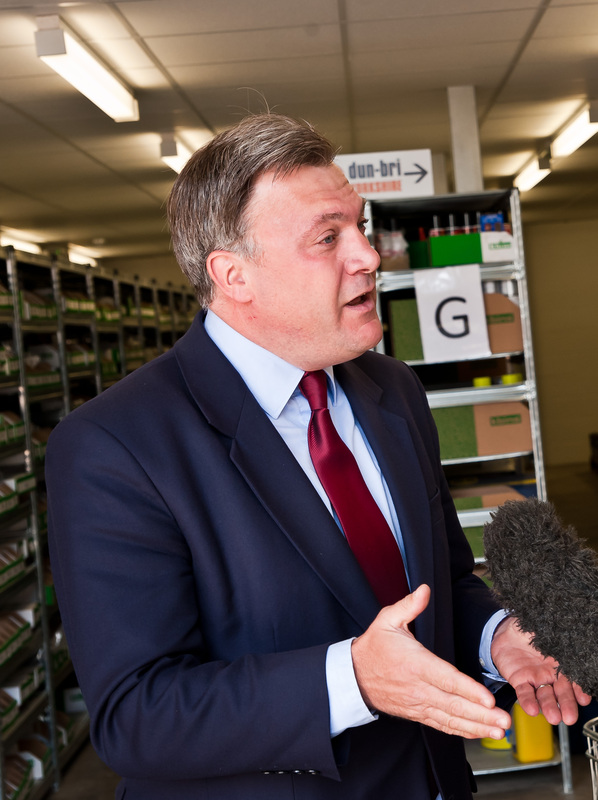 This press release and future press releases can be sent to you via email, fax or by post and is available in plain text as well as formatted PDF. Dun-Bri Group first started trading in 1989. 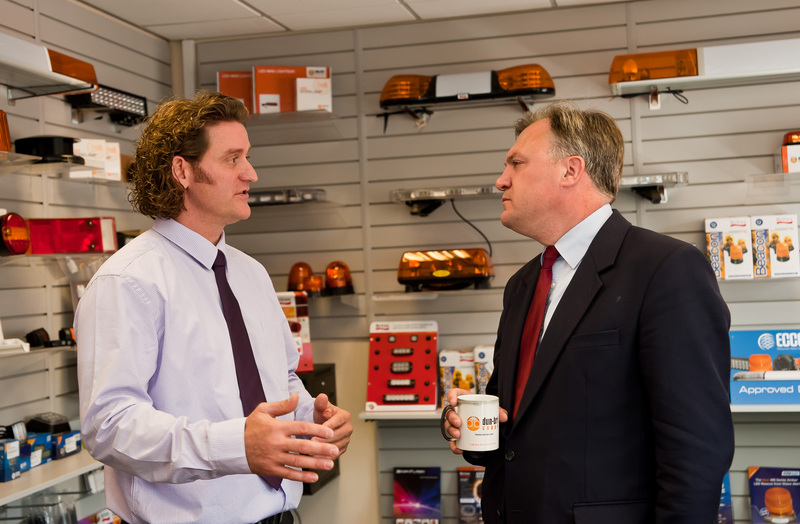 With its head office in Buntingford, Hertfordshire, it is the UK leader in the manufacture and distribution of light bars, flashing beacons and directional LED lighting for both the amber and emergency services; wiring harnesses; commercial vehicle after-market lighting and auto-electrical products. The company now operates from locations in Hertfordshire, Lancashire and Yorkshire servicing customers in the UK and Europe. More details on the company’s product range and other details can be found at dun-bri.com. Thinwall cable vs standard automotive cable – why? This is the web site for Dun-Bri Group, the UK's only specialist and largest supplier of commercial and emergency vehicle lighting systems, Lite-wire and aftermarket parts.